The Chattanooga-Montgomery game had 21 runs on 27 hits, three errors, six wild pitches, a pickoff, a balk, six hit batsmen and a triple play started by Lookouts catcher Brian Navarreto. Oh, and Brent Rooker was a triple shy of the cycle. Check out what else happened around the Twins’ minor league system Saturday. Cedar Rapids placed Bryan Sammons on the DL due to a sprained ankle and added Moises Gomez to their roster. Dietrich Enns (5 2/3 innings), Alan Busenitz (2 1/3 innings) and Nick Anderson (one inning) combined to pitch a four-hit shutout. You’d have to imagine Busenitz’s time with Rochester won’t last too much longer. He’s given up one earned run over 14 2/3 frames and has 22 strikeouts for the Red Wings, or I guess tonight they were the Hop Bitters. Catcher Wynston Sawyer drove home Kennys Vargas on a single to score the first run of the game in the bottom of the fourth. Sawyer is hitting .379/.526/.517 in 10 games since being promoted to Triple A. The next inning, Nick Gordon singled home Jermaine Curtis for his first career RBI in Triple A.
Brent Rooker nearly hit for the cycle, going 4-for-5 with a double and a homer, but that may not have even been the most noteworthy thing about this game even if he had. Ryne Harper took over on the mound in the eighth inning with the Lookouts clinging to a one-run lead. Oh, and the bases were loaded with no outs. He needed only one pitch to get out of the jam. The Lookouts turned a triple play. The batter deadened the pitch straight into the ground and an aware Brian Navarreto picked up the ball just in front of the plate, stepped on home, threw to third baseman Chris Paul for the second out and then over to Rooker at first. Rooker had three RBIs and scored three runs. Leadoff man Tanner English was 3-for-4 with a double, a walk and scored four times. Zander Wiel was 3-for-3 with a pair of doubles. This game was completed early due to rain. Originally scheduled as a doubleheader, Game 2 had to be postponed. In the very little baseball they were able to get it, things didn’t go the Miracle’s way. Mark Contreras was 1-for-2 with a walk and both Luis Arraez and Taylor Grzelakowski had hits. Tyler Wells will get credit for a complete game even though he only pitched four innings. You’re going to win most games in which your starting pitcher strikes out nine and walks nobody. Unfortunately, that wasn’t the case for the Kernels in the first game of their doubleheader. Brusdar Graterol was excellent, but he gave up a couple of homers and the Cedar Rapids bats couldn’t get much going. Graterol has a 1.78 ERA, 0.91 WHIP and 12.8 K/9. Maybe most impressive is the fact that he has six times as many strikeouts as walks, having issued just six free passes in those five starts. Alex Kirilloff drove in the lone Kernels run on a single. He entered the day second in the Midwest League in RBIs. This game was tied 3-3 heading into the fifth inning, but that’s where things got away from the Kernels. A five-run inning for the LumberKings included three walks, a hit by pitch, a wild pitch and a passed ball. Shane Carrier hit his fifth home run of the season. Royce Lewis had a strong performance, going 1-for-3 with a double, two RBIs and two runs scored. He also made a great catch in foul territory. Jacob Pearson, acquired from the Angels over the winter, played center field and hit leadoff for the Kernels. He was 2-for-4 with a double and his second stolen base. Cedar Rapids is going to be playing another doubleheader tomorrow, so they had Jordan Gore, usually an infielder, pitch the final inning of this one. He gave up a run on a hit and three walks. 10. Akil Baddoo, CR: Out with a hamstring injury. 18. 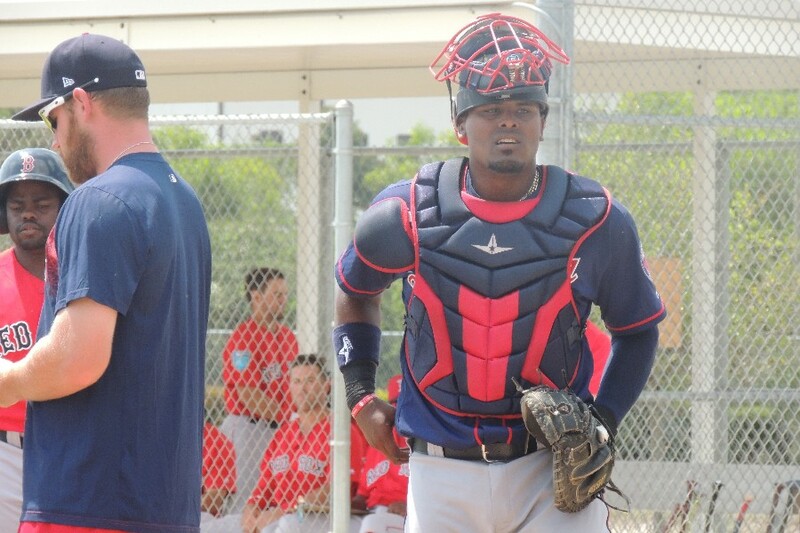 Yunior Severino: Expected to join E-Town next month. 20. Felix Jorge: Out with tricep injury. Great to see Rooker playing so much better in May. He still has a lot of hitting to do to make his stat line look presentable but he's definitely improving. Busenitz seems to be ready for the majors, but there isn't a spot for him. Magill has held down the 7th reliever spot surprisingly well, and since the bullpen has been very durable thus far, he'll just have to wait. Hopefully he'll find his way up in due time. Looks like Jacob Pearson wants to move up on the Twins' prospect chart in a hurry. That Lewis foul ball catch is pretty impressive. The kid is all of 19 and already looks like a major leaguer out there. He had a really, really nice game. The two times he got out, he really hit the ball. I talked to him after the game about a fly out to CF. It just didn't travel, but he hit it well. Good speed. OK defense. He's a prospect, for sure. He doesn't turn 19 for another week. He's so impressive. And that play was amazing. He went a long ways to get there. He hasn't been hitting much the last couple of weeks, but it's there. He's got so much talent, and he's got tremendous instincts. Talked to him for a bit afterwards too. He just gets it. Great kid. Who would you rather have pitch in extra innings:Magill or Busenitz? Either/or... Magill has been very good and he's only like a year older than Busenitz. I've been (probably too) vocal in my thought that Busenitz should be in the big leagues, but Magill is sowing he should be too. Seth, what do you see with Arias? He's definitely picked up his stat line the past few weeks. I would like to see a foot race between Lewis and Buxton, either straight line or around the bases. I see a future outfield of Lewis in left center and Buxton in right center, and either a five-person infield or a roving outfielder playing shallow to cutoff bloop hits. Just kidding but it could be a situational alignment. Additionally Magill can multiple innings. The Twins need the guy holding the last spot in the pen to be able to go more than 2 innings. Enjoying your time in Cedar Rapids, Seth? A 2-5-3 triple play sure isn't the norm.What a game..Also wondering if Arraez was injured or what the reason was to replace him early in the game? Don't know a lot about Sawyer who is hitting well in a SSS at AAA.Looked up his history and see that he has been hitting relatively well the last couple years in Hi-A and AA.Toss in Navarreto hitting well at AA and Grz also hitting at Hi-A...maybe the Twins organization isn't as thin behind the plate as we think.Two of them are new to the organization.That seems to prove what new management was talking about when they worked to improve the talent level throughout the organization. He's not a big guy, but he's strong, and he seems to barrel the ball real well. Uses his legs. Real good speed. Good outfielder too, with at least an average arm. He's a legit prospect. Seth-- Thoughts on Zander Wiel. Prospect or just older than competition? I love the grin on any player's face when they make a wild catch like that. I really appreciate the full Top 20 prospect list updates. It helps fill in the injuries, etc. that I may have missed. I don’t know who the never ending Florida rain is hurting worse, the Miracle bats, or the pitching. Particularly Wells. He’s played like twice in 3 weeks. They should have never started that game yesterday. It was POURING through the entire thing! Yep. He has an .830 OPS in May with a .517 SLG. The last 10 games his slash line is .356/.400/.689/(1,089).